Social media contests now include me! Last month I responded to my sole congressman, Rep. John Carney and his request to submit a photo that depicted some aspect of the Delaware River Basin. 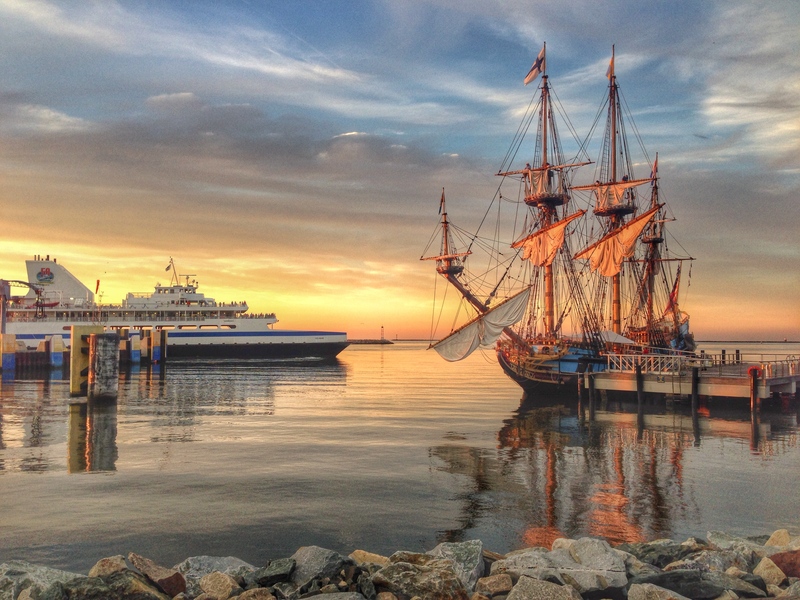 Last September, I took a lucky shot with my then iPhone 5, of the Cape May Lewes Ferry passing by the Kalmar Nyckel (16th century reproduction tall ship) that I had just left. I have a good Nikon, but the iPhone beat it out hands down. Out of 200 submissions, this photo made it to the 15 finalists, the winner to be determined by Facebook votes or likes. I am up against some pretty amazing photos. But, if you think it’s worthy, please vote!